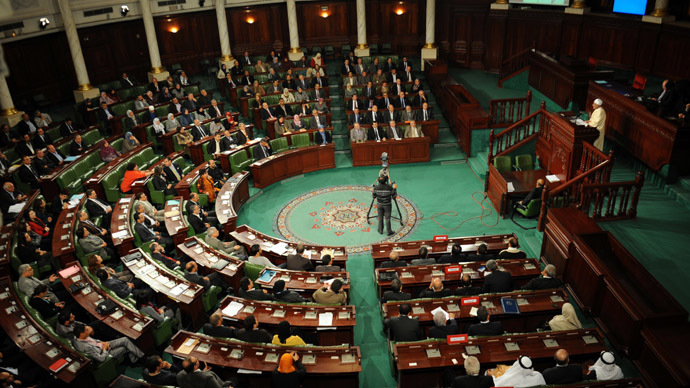 Libya’s newly elected parliament has asked the United Nations to intervene as militia related violence rages across the country. Amidst the worst violence since the 2011 ousting of Muammar Gaddafi, Libyan lawmakers met in the eastern port-city of Tobruk, which is away from the fighting going on in the capital Tripoli and in Libya’s second largest city Benghazi. The MPs passed a vote by 111 out of 124 in favor from 124 MPs present asking the UN Security Council for help. "The international community must intervene immediately to ensure that civilians are protected," MP Abu Bakr Biira quoted the decree. Calls for outside help have come from many factions in Libya. It is not yet clear whether the parliament is seeking a peacekeeping mission or some other form of help. The UN mission along with other international organizations and scores of embassies has been closed down amid the new turmoil in Libya. The UN has called for warring parties to hold peace talks, but there is little evidence of any let up in the bloodshed. Several hundred people are believed to have died in July and August in an upsurge of unrest, which has been ongoing since the fall of Gaddafi. The violence began to spiral out of control, when Islamist militias from the coastal town of Misrata launched an offensive on Tripoli’s airport last month to force it out of Zintan militias’ control. Some analysts have said the attack was a backlash to the Islamists’ losses in the last parliamentary elections, as well as to counter a campaign being led in Bengahzi by a reneged army general and units loyal to him to rid Libya of Islamic militias. British diplomats evacuated the embassy at the end of July and came under fire as they were leaving the country. The US and Germany also evacuated their embassies at the same time. The French deployed two frigates, the Mountcalm and the Courbert, to evacuate their own and British citizens from the country. The Philippines ferried some of their nationals to Malta, before putting them on flights to Manila. In a separate vote lawmakers agreed to disband the militia brigades and integrate them into the military. Since the fall of Gaddafi transitional governments in Libya have relied on the militias to provide law and order to the shattered country. The resolution passed Wednesday to disband the militias marks an about turn, though it isn’t clear how the decision will be enforced. The militia brigades are numerous and are more powerful than Libya’s fragile government, regular armed forces and police. 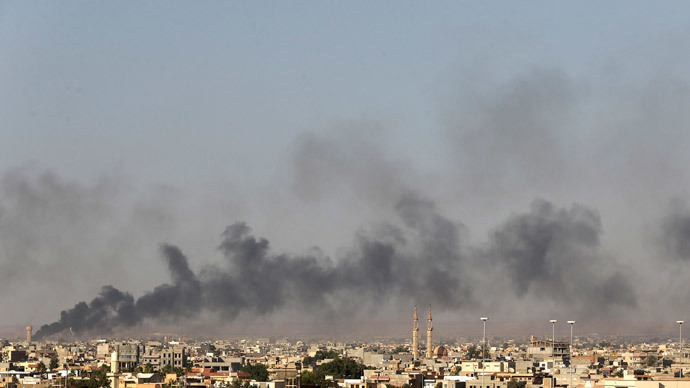 Libya’s Prime Minister called last year for all militias to leaveTripoli “without exception”, after dozens of people were killed and up to 400 wounded in clashes between militiamen and armed residents. 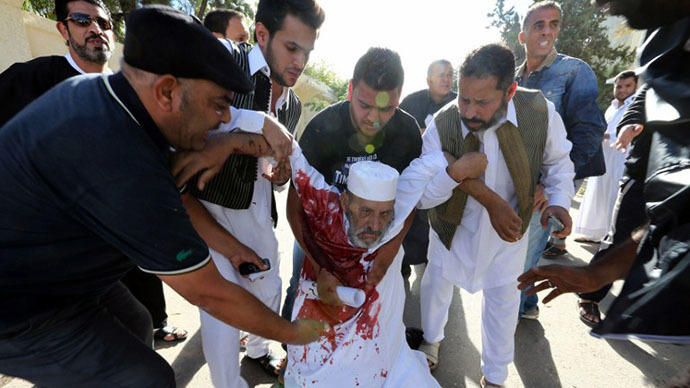 Thousands of protesters had gathered in Tripoli calling for an end to the militias rule and a tightening up of security. 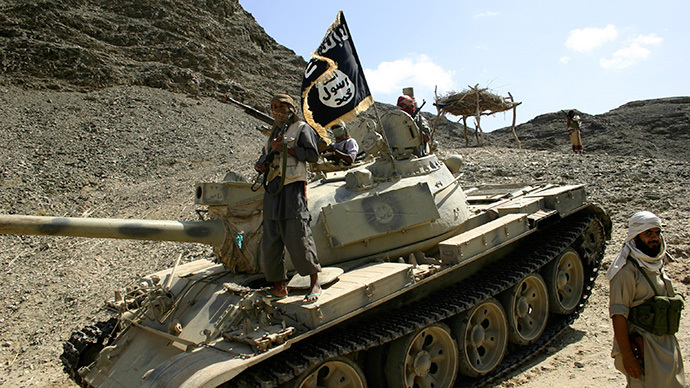 But when they approached the headquarters of Misrata militia in the Gharghour district they were fired upon with heavy machine guns and rocket propelled grenades.